Kuni moved to New York City in 1974, and studied with Barry Harris and Norman Simmons. He became a U.S. citizen few years later. In 1991 he received a call from the jazz legend Lionel Hampton, who later acclaimed Kuni as “a great musician, great soloist with soul.” He continued to play with Hampton for over twelve years—Kuni was the last pianist for Hamp. Kuni also toured with the Duke Ellington Orchestra, Illinois Jacquet Big Band and the Cab Calloway Orchestra, becoming well established as an international jazz pianist, and performing in major New York jazz clubs and concert halls. He also performed as a soloist, and in a jazz piano and mime collaboration called iMimenation, touring with the show throughout the United States, Australia, Japan, Brunei, the Philippines, Puerto Rico, the Dominican Republic, Nicaragua and Honduras. 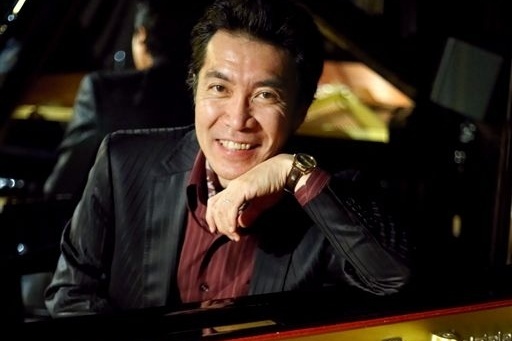 Kuni has written two Jazz piano text books, which were published in Japan.